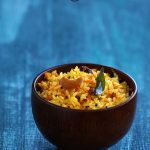 South Indian Style Carrot Lemon Rice / Carrot Nimmakaya Pulihora Recipe with step by step photos & Video. 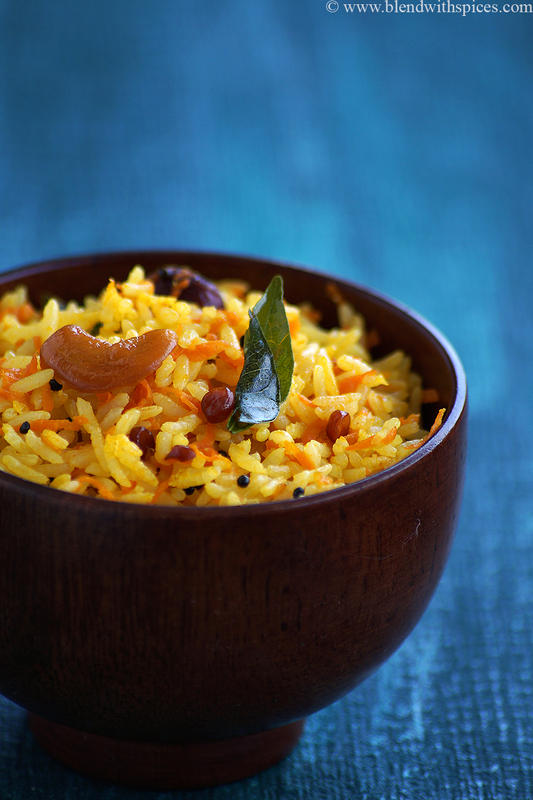 An easy, quick and delicious South Indian rice dish made with grated carrots and lemon juice. This is perfect for breakfast or lunch box. 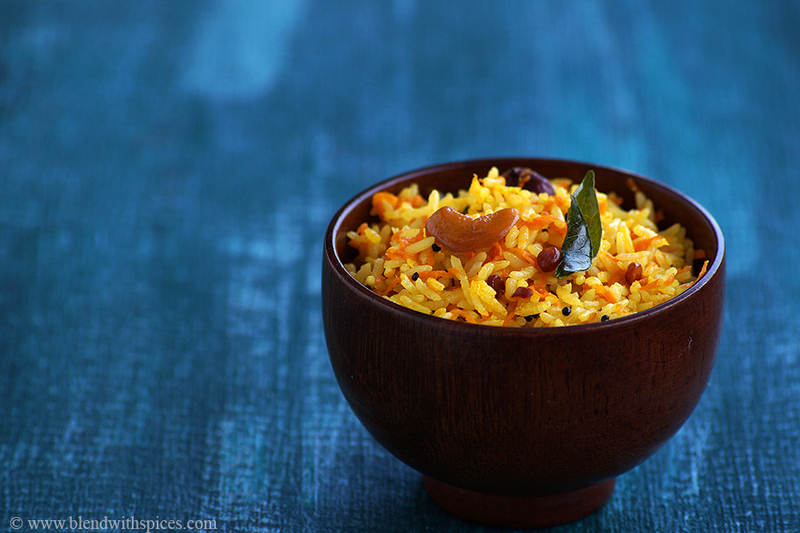 If you are looking for more Traditional South Indian Rice Recipes then do check Aava Pettina Pulihora, Pepper Pulihora, Chintakaya Pulihora, Aava Pettina Daddojanam, Nimmakaya Pulihora and Thayir Sadam. 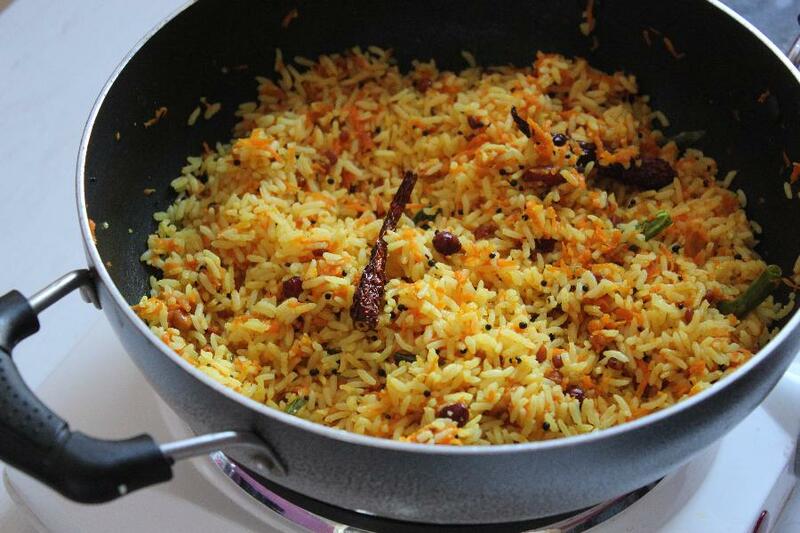 Spread the cooked rice in a wide plate and keep it aside. 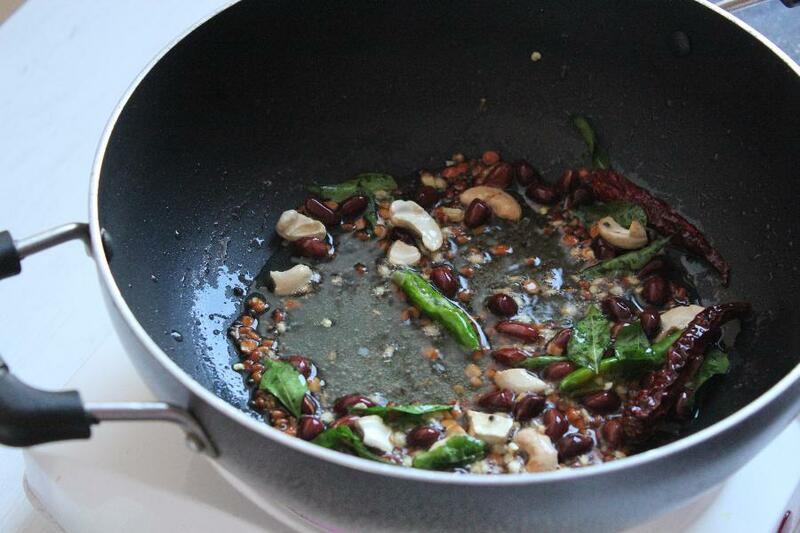 Heat oil in a pan and add the mustard seeds, chana dal, urad dal and peanuts. Fry until light brown color. 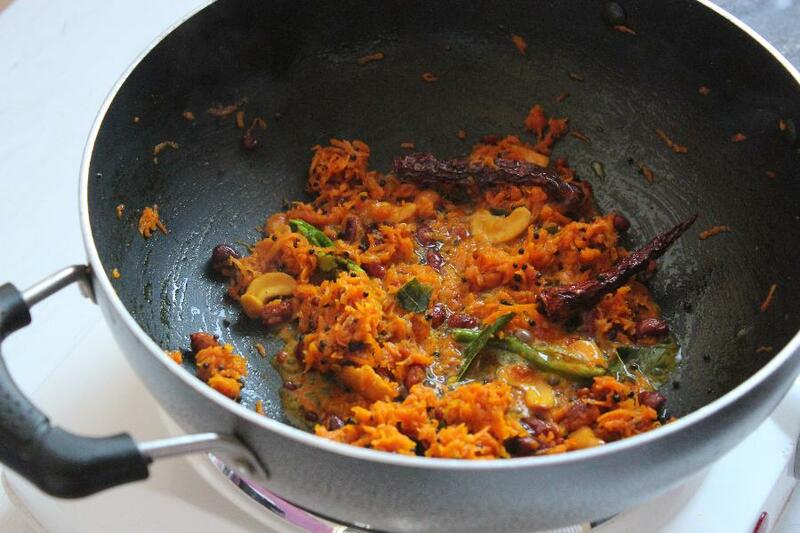 Then add the cashews, chopped ginger, green chillies, dry chillies and curry leaves fry for a couple of minutes. 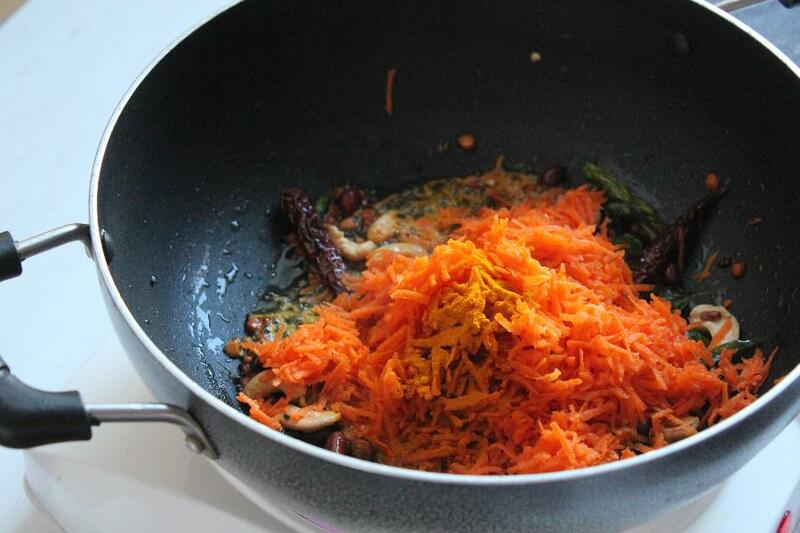 Now add the grated carrot and turmeric and saute for 8 - 10 minutes or until the carrots are tender. Turn off the flame and add the lemon juice. Mix well. 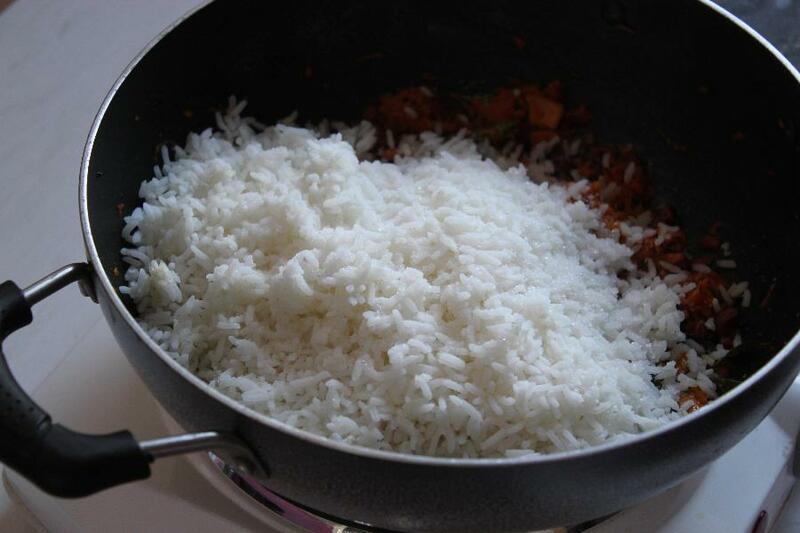 Finally add the cooked rice and salt. Mix everything until well combined. 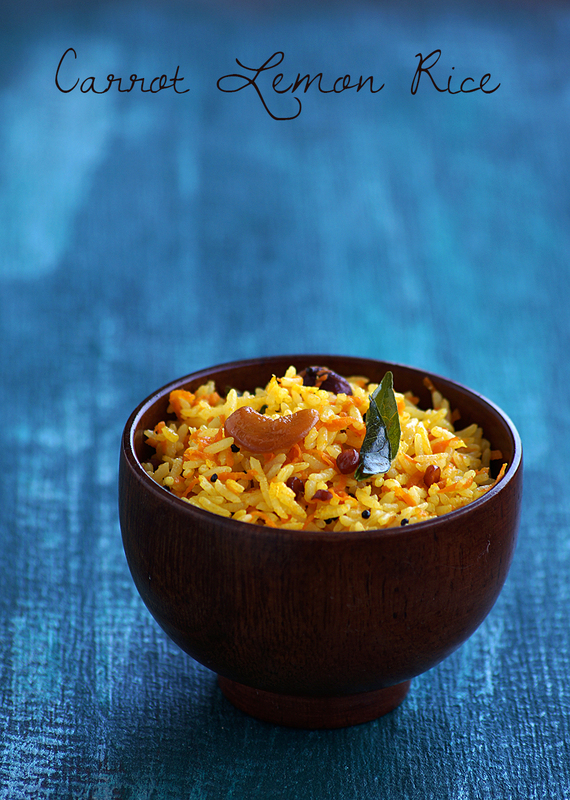 This tastes great with plain yogurt. Now add the grated carrot and turmeric and saute for 8 – 10 minutes or until the carrots are tender.